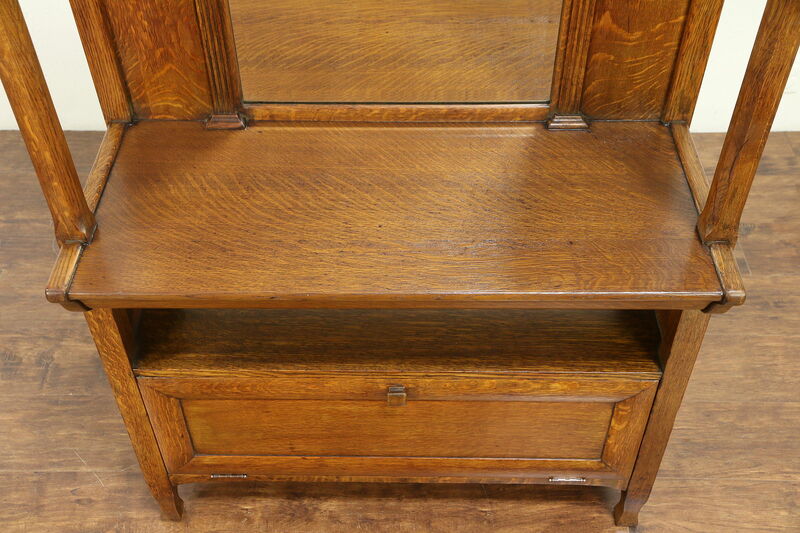 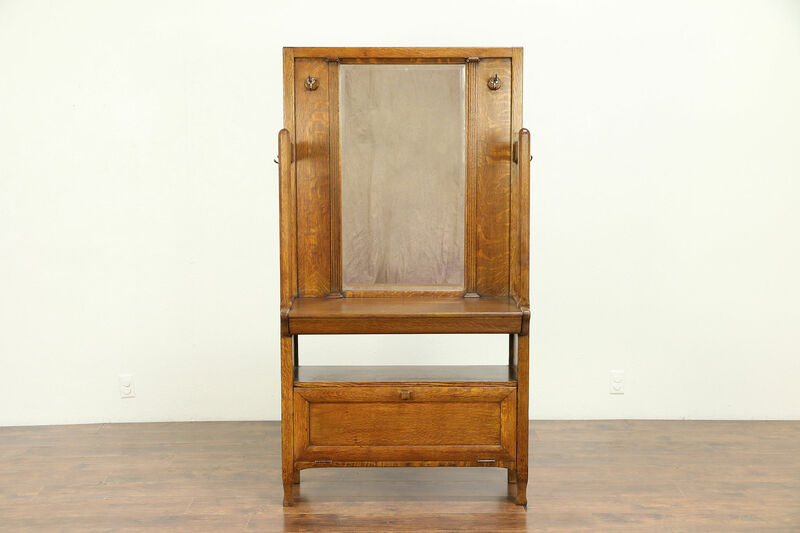 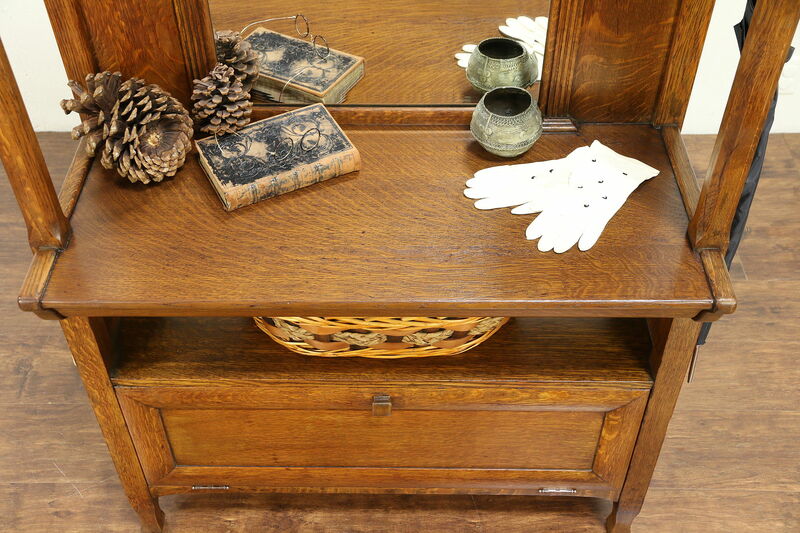 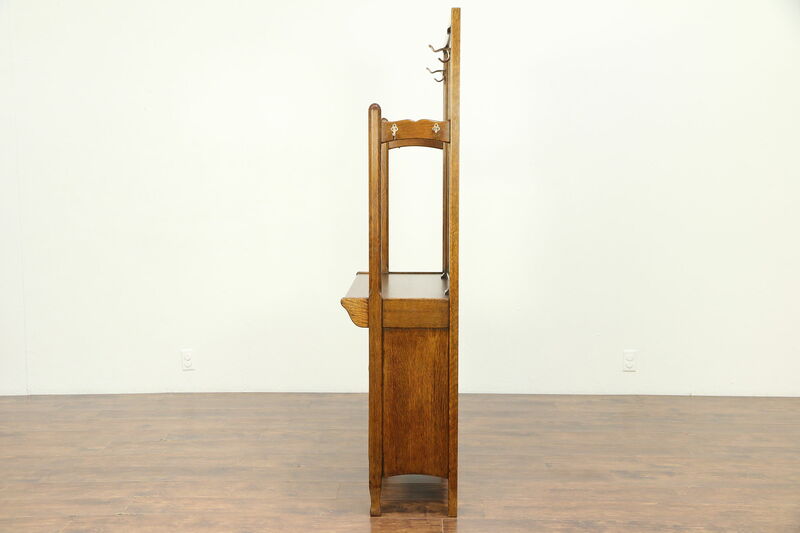 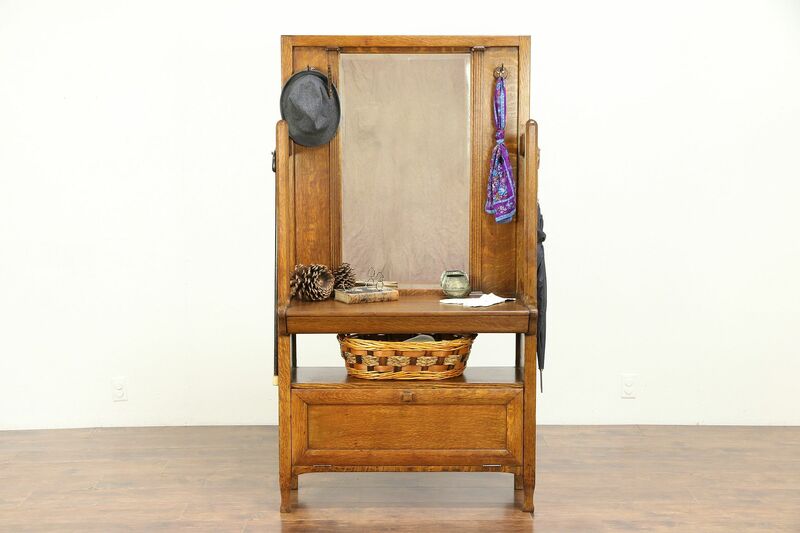 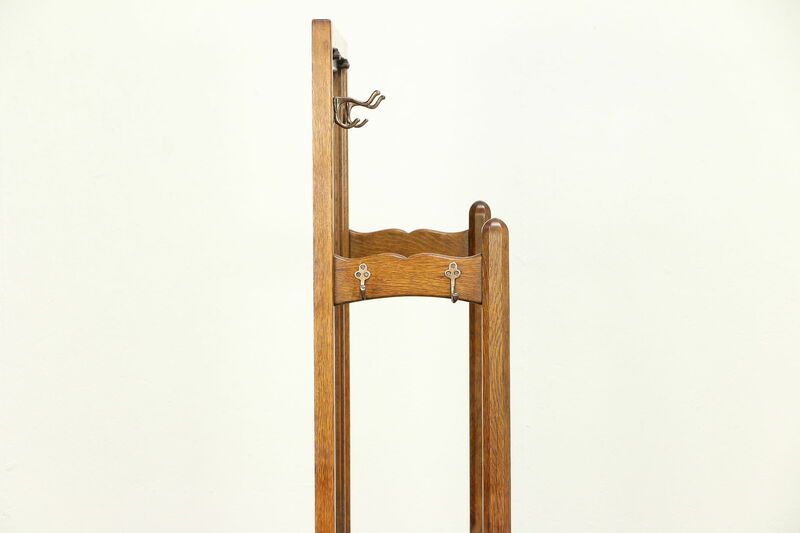 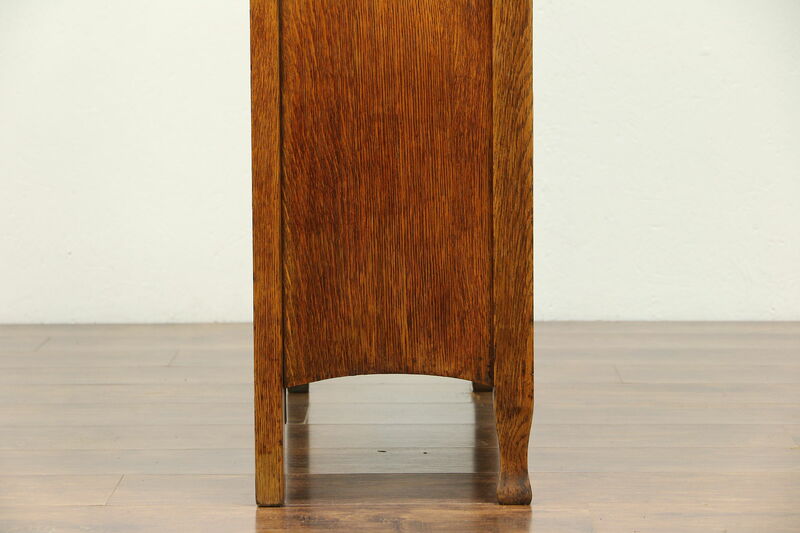 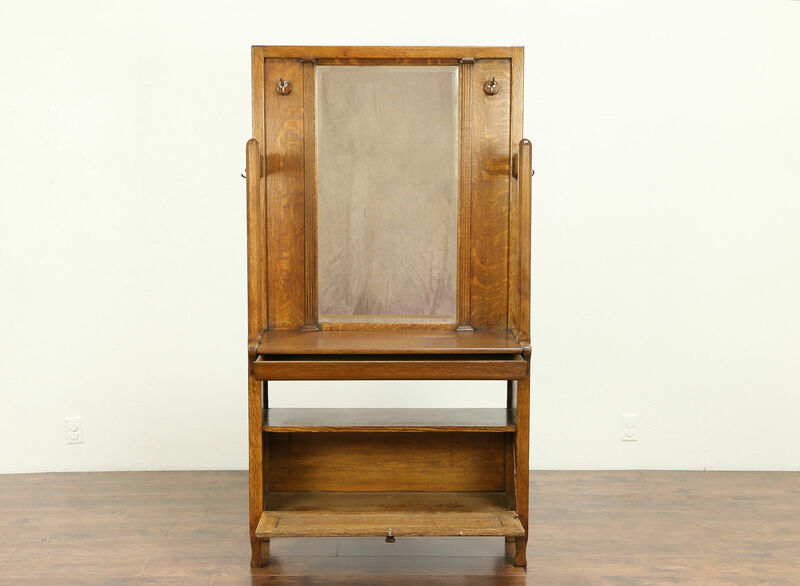 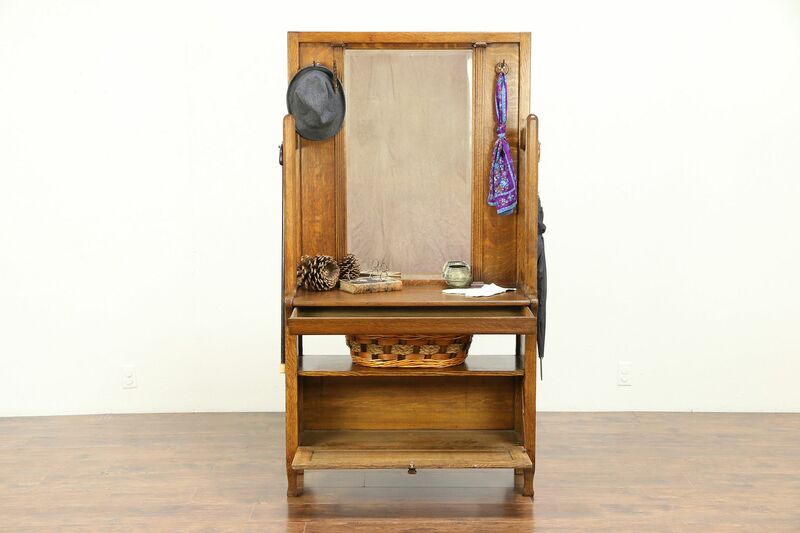 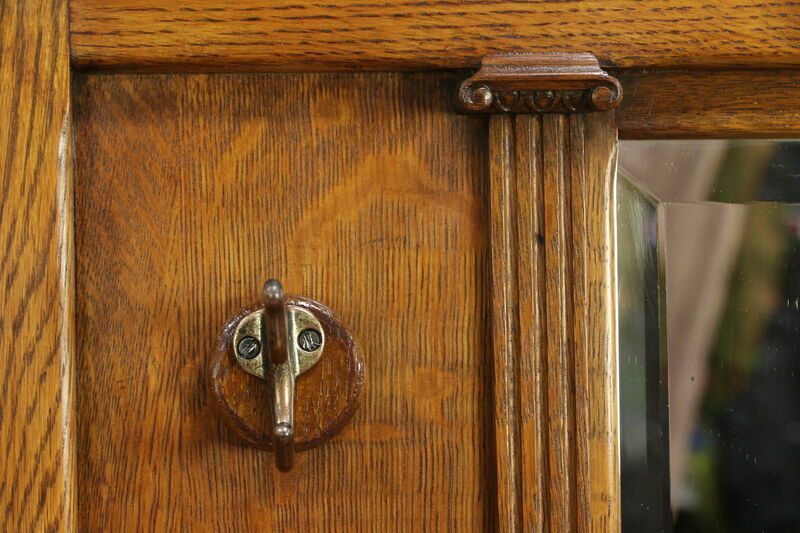 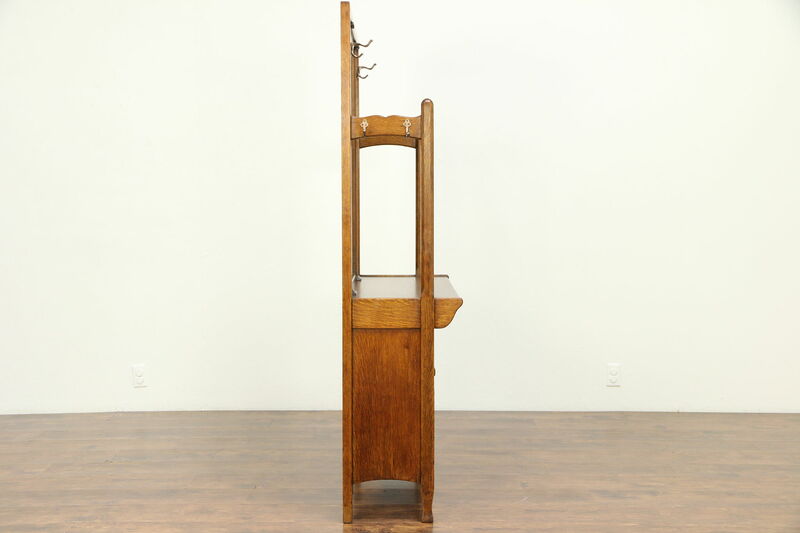 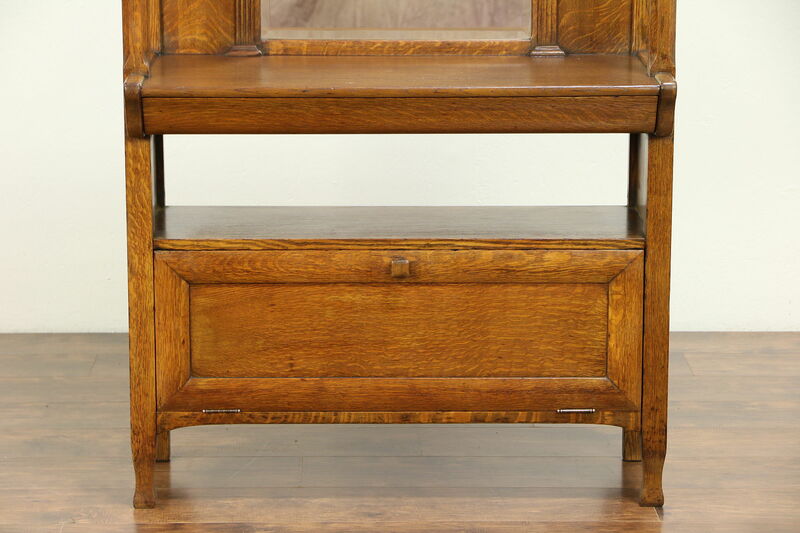 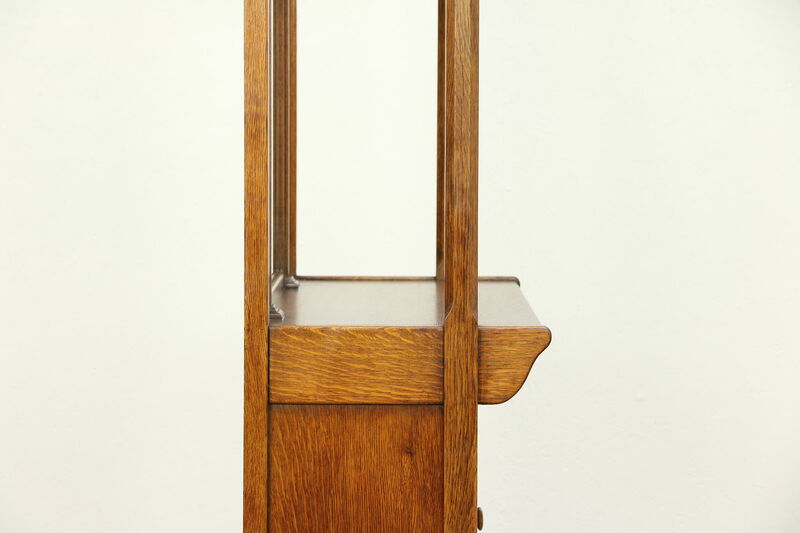 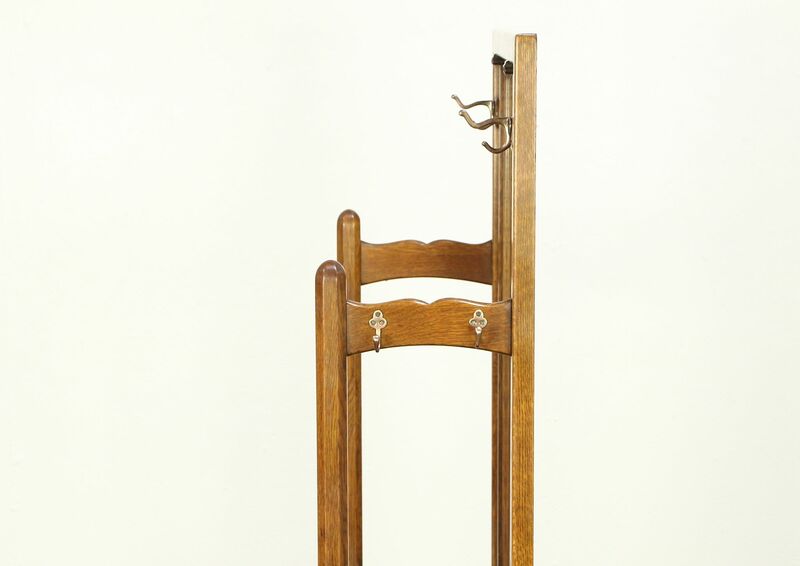 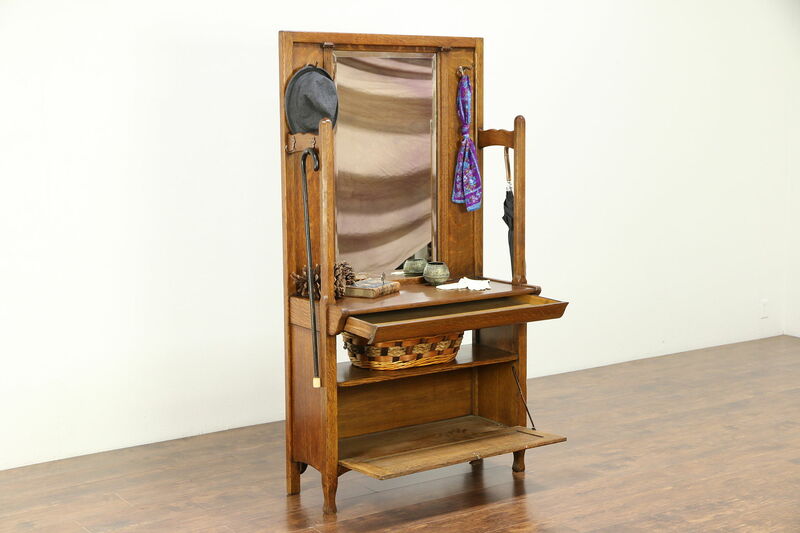 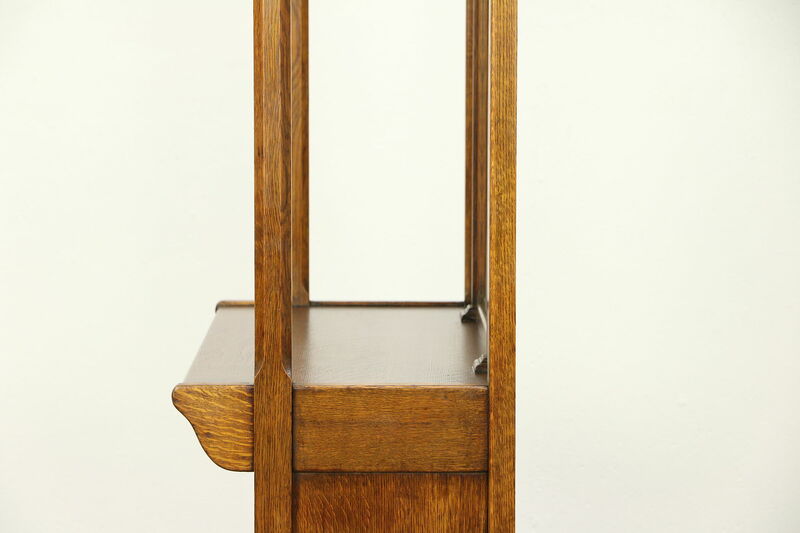 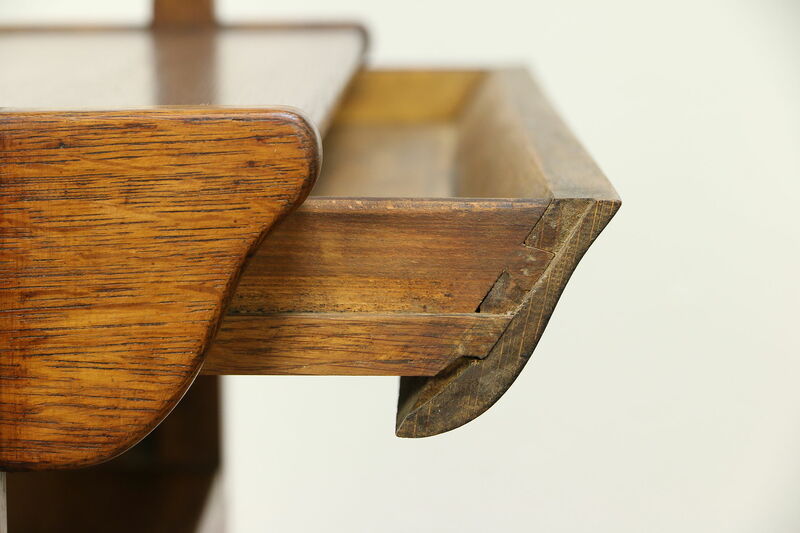 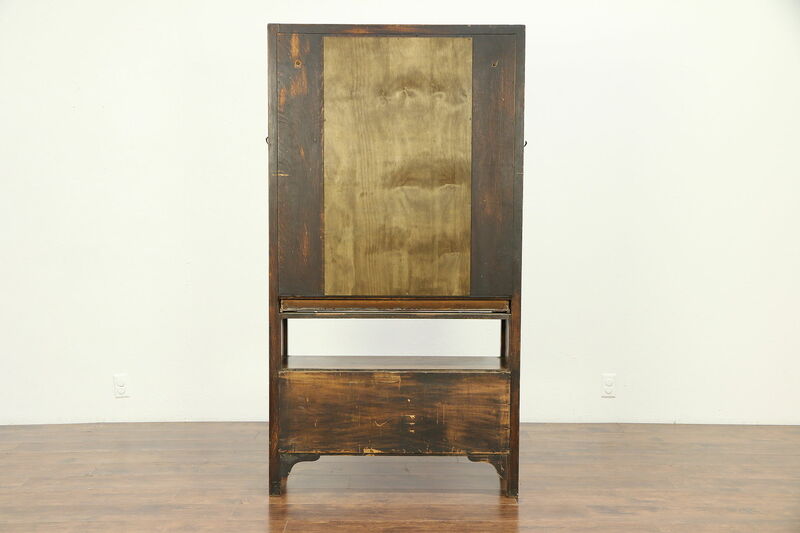 An Arts and Crafts or Mission Oak period hall stand from about 1910 is solid quarter sawn oak. 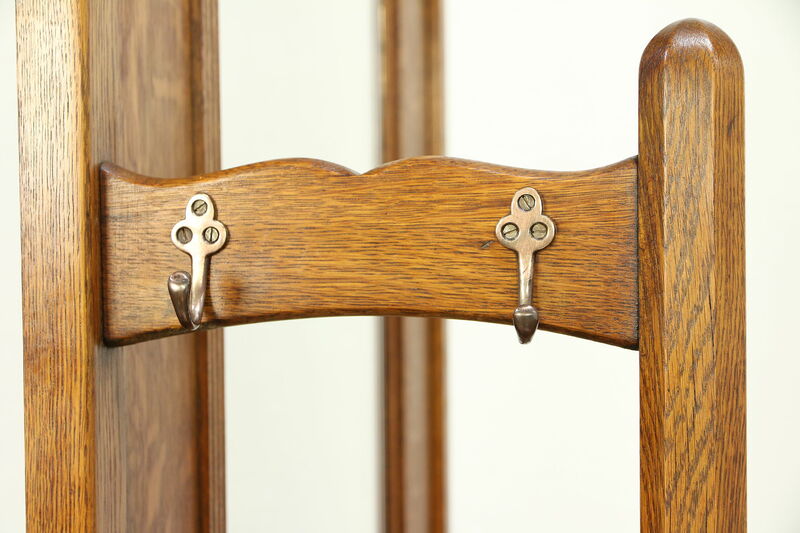 Coat and hat hooks are solid brass. 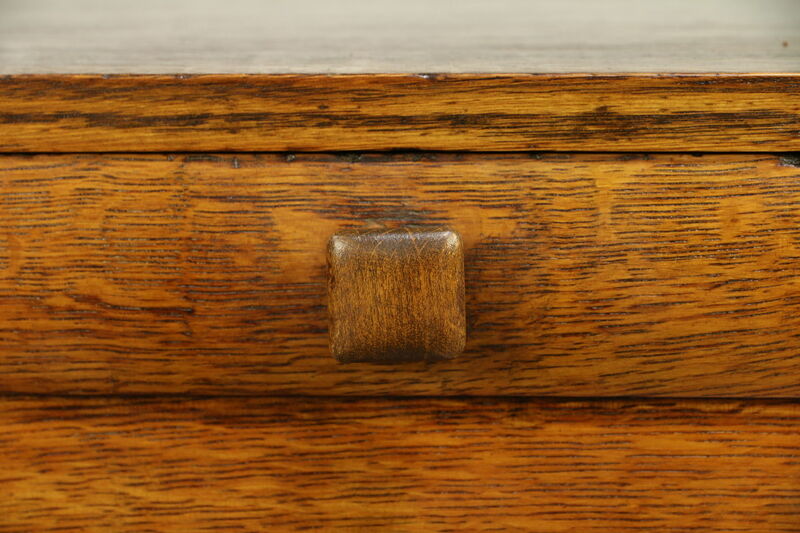 The old restored finish is in very fine condition, the top surface has been revarnished for durability, preserving just enough mars for a little antique character. 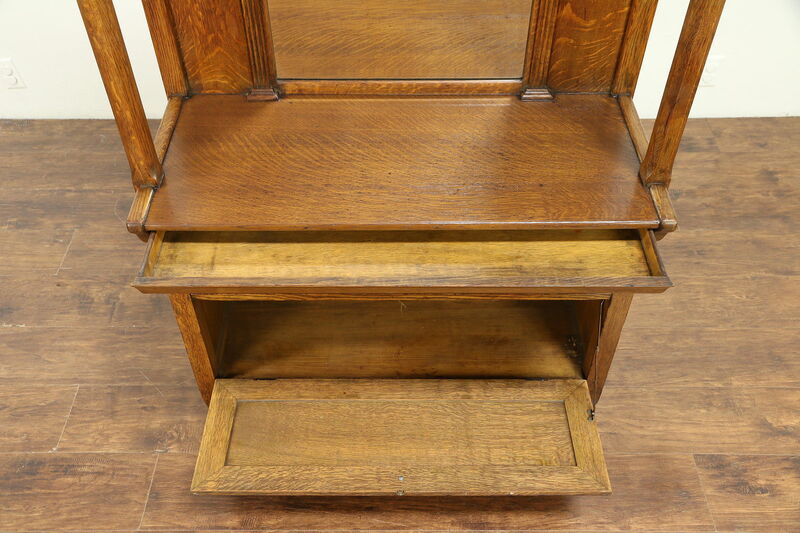 There is a drawer plus a storage compartment below on this American made Craftsman furniture. 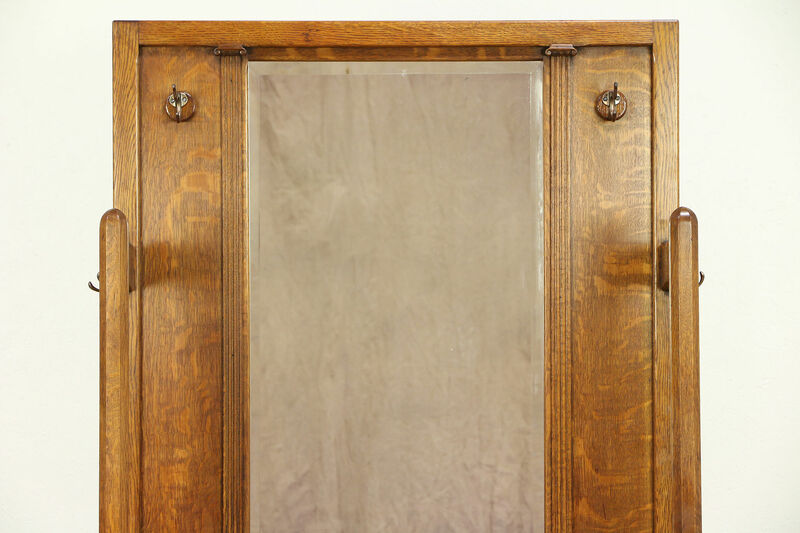 The original beveled mirror has a little "smoke" to show its age. 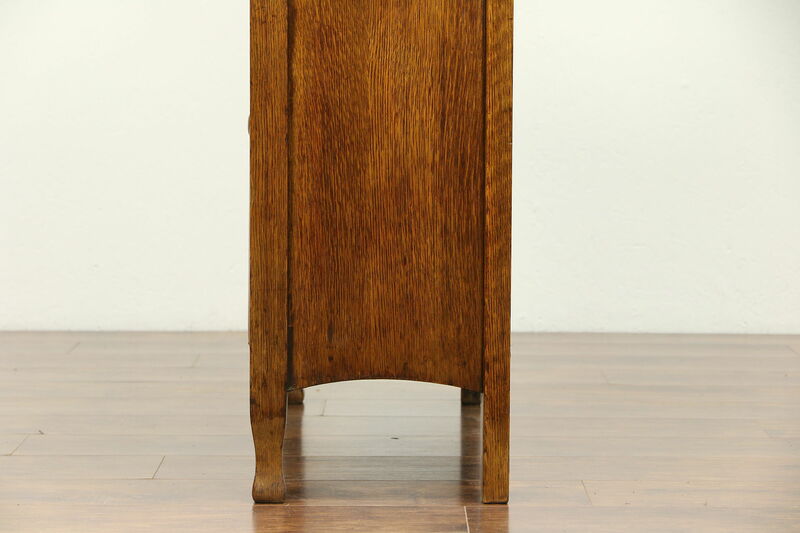 Size is 37 1/2" wide, 16" deep and 70" tall.